ROME – An earthquake in central Italy, reaching 4.6 in magnitude, has reawakened fears of the three tremors in August and October 2016, which ripped through Lazio, Umbria and Marche, taking 299 lives. This time several buildings were damaged but nobody was hurt. 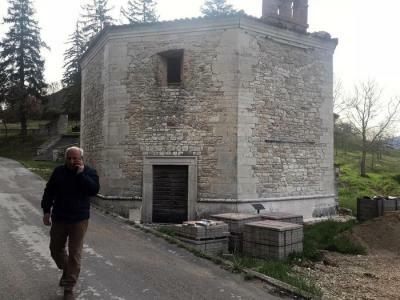 The quake’s focal point shook the town of Muccia, near Macerata, where well over half the 920 inhabitants are still lodged in temporary accommodation. Only 120 people remain in their original homes, unscathed from the 2016 earthquakes, whilst 550 continue in their wait for permanent housing. Baroni added that the town’s temporary post-quake accommodation, known as SAE homes, “suffered no damage,” but naturally the population was heavily shaken by the episode. Schools in Pieve Torina were closed today as a precaution whilst 20 people have vacated their homes under the instructions of authorities following post-quake assessments which found several buildings at risk of collapse. Trenitalia briefly suspended its services in order to inspect the state of the Macerata-Civitanova line, but was quickly given the all clear.